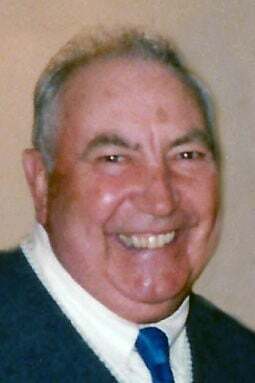 Lawrence D. Booze, 85 years, of Fremont died Friday, April 12, 2019, at his home in Fremont. Lawrence was born Oct. 20, 1933, in Fremont to Carl and Jessie (Wilson) Booze. He grew up in Fremont and served in the U.S. Army from Nov. 16, 1950, to Nov. 15, 1953, in Korea during the Korean War. Lawrence married Beverly Kincanon on Dec. 18, 1954, in Fremont. She preceded him in death on June 28, 2008. He was employed at Hormel in Fremont for 38 years. He was a past member of VFW Post 854 in Fremont and a past volunteer for the Cedar Bluffs Fire and Rescue. He is survived by sons, Keith Booze of Fremont and Jeffrey (Mari) Booze of Prague; daughters, Sue (Tom) Townsend of Lake Ozark, Missouri, and Nancy Silvey of Craig; 13 grandchildren; and 22 great-grandchildren. He was preceded in death by his parents; wife, Beverly; four brothers; and one sister. The memorial service will be 10:30 a.m. Tuesday, April 16, at Moser Memorial Chapel in Fremont. The Rev. Scott Jensen will officiate. Book signing will be Monday from 5 p.m. to 8 p.m. at Moser Memorial Chapel in Fremont. Burial with Military Honors conducted by the Fremont VWF Post 854 and American Legion Post 20 will be at Memorial Cemetery in Fremont. Online condolences may be left at www.mosermemorialchapel.com.